To approximately 10m height and 8m spread. Slow; it will reach its full height in 10 to 20 years. Moderately vigorous, open, bushy shrub. Flowers mid to late spring. Happy in part or full shade. Neutral to acid soil is required to grow camellias. They will grow on clay, loam or sandy soil. They prefer a sheltered position away from morning sunshine (browning of the flowers is increased when the sun shines on petals which are dampened by frost or dew), cold, dry winds, late frosts and extremes of temperature. Scarlet, single to semi-double flowers with central yellow stamen and large, mid to light green, evergreen leathery leaves with smoothly serrated margins. Can be grown as a wall shrub or in a container, as well as a border or specimen plant. Could also be used to create an informal hedge or in a woodland setting. Camellias are typical cottage garden style plants, but are striking enough to be used in more urban gardens. This is a pretty low maintenance plant, just needing pruning as required. If late frosts are expected, or very cold winter temperatures, it would benefit from protection such as a fleece covering. If you wish you can deadhead your camellia regularly (daily if possible) to remove the unsightly, browning older flowers. Prune Camellia japonica during or just after flowering in the spring. To train a young camellia to be a bushier plant, cut all long, leggy stems back to 2 to 3 buds, removing any weak stems entirely. Once established, if the plant becomes very bushy, you can remove some of the smaller inner branches to allow more light to reach the centre of the plant. You can also prune the previous season’s growth back to just above the old wood to encourage a bushy habit and/or to restrict the size. Generally Camellia japonica and its cultivars will respond well (though slowly) to renovation pruning. In early spring cut 1/3 of the main branches back to 60cm above ground level. Repeat this in the two subsequent springs until all the main branches have been cut back. A mass of new shoots will appear from the pruned areas – thin these out to create a new framework. Don’t worry if the new shoots don’t appear until midsummer, this is normal! Can be propagated from internodal or nodal semi-ripe cuttings from midsummer to early autumn. Nodal cuttings will produce flowers more quickly, in 3 to 4 years. Hardwood cuttings may also be taken in autumn to late winter. Pinch out the flower buds on the cutting and give it bottom heat of 12-20˚C for 6 to 12 weeks until rooted. Simple layering can also be effective. In spring, layer a low-growing shoot which is maximum 12mm in diameter and allow 2 years for rooting to take place before severing and lifting the new plant. Seeds can be collected and sown as soon as the fleshy fruits split open. Alternatively, sow them in spring after soaking in hot water. Any resulting plants may not come true to form. Camellias may also be hybridised. 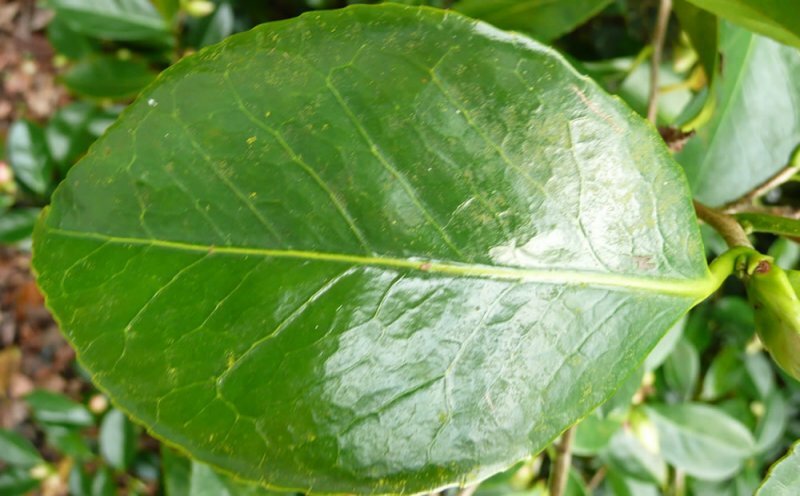 Camellia flower blight can be a problem, particularly in areas with high temperature and humidity. Viral diseases, honey fungus and leaf spot can also occur. 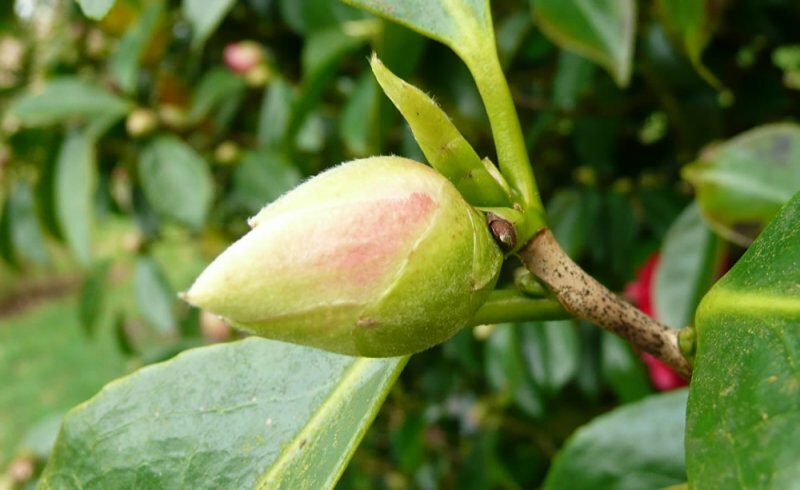 Camellias may be attacked by aphids, scale insects and vine weevil. Chlorosis of the leaves may occur if the soil is lacking in nutrients such as iron. 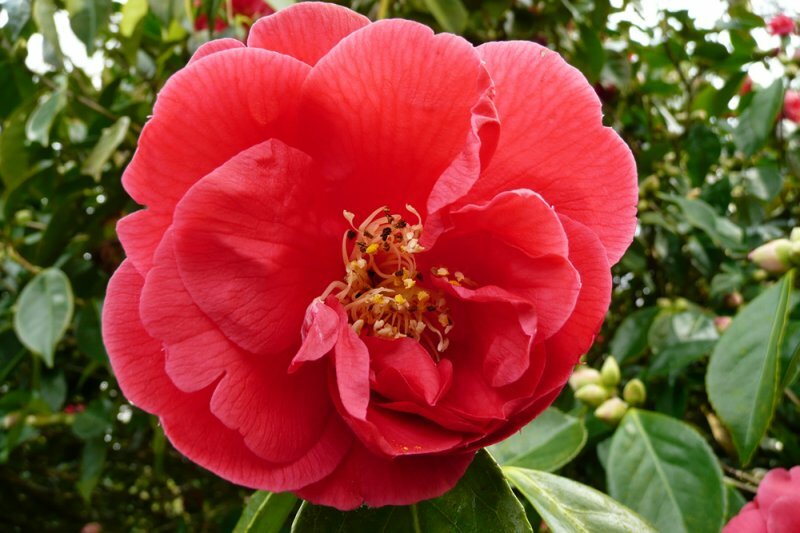 The genus Camellia was named by Carl Linnaeus after the Jesuit Priest Joseph Camel. 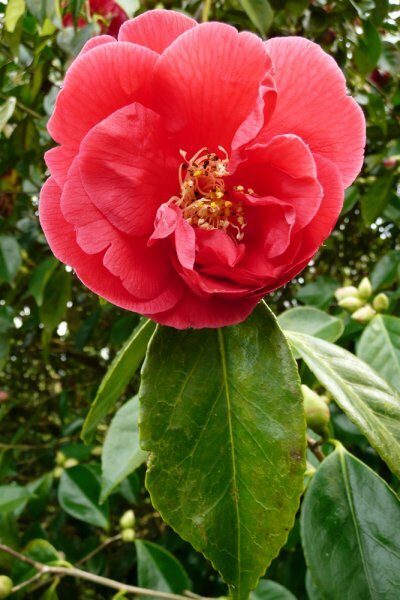 The camellia was first brought to the West in 1692 by Englbert Keampter, Chief Surgeon to the Dutch East India Company. He brought details of over 30 varieties back from Asia. Developed by G.C. Linton in Somersby, Australia, this first flowered in 1952 and was introduced in 1955. It was produced from a seedling of Camellia japonica ‘Gauntlettii’.